Garmat® USA utilizes Variable Frequency Drives for smooth motor startup and optimum air management. By utilizing VFD’s, your booth can automatically switch to an energy saving mode when the painter stops spraying. 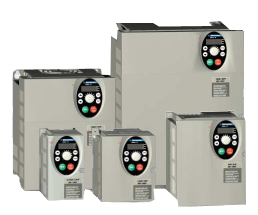 By controlling the speed of the motors for optimum performance, VFD’s provide significant energy savings that were previously unattainable. The payback period on a VFD averages 18 to 24 months, but can be less than 12 months. The period depends largely on the type and size of the system and how much time the motor is operating at full speed versus how much flow is actually required to heat the booth. So a one or two year payback period can generate a substantial ROI.